Changes for Carowinds 2018 is more than just Camp Snoopy, although that’s the biggest change. The historic Philadelphia Toboggan Company carousel was also relocated to the former Carolina Showplace which has been renamed Carousel Park. 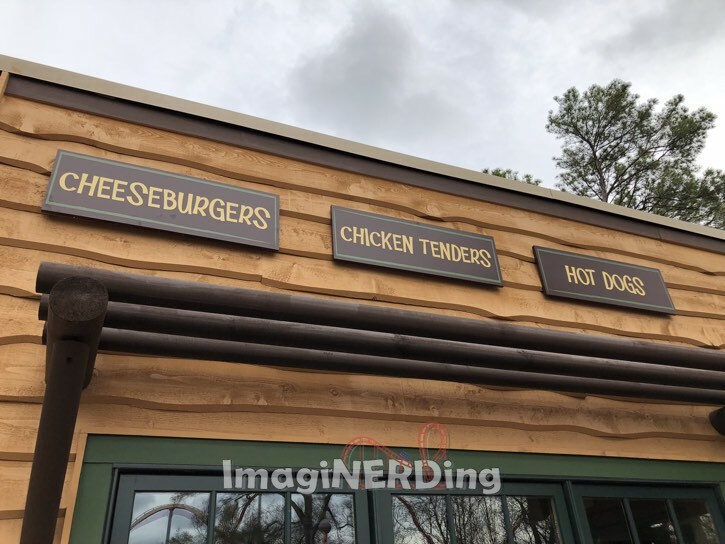 I also highlight the interior of the Camp Snoopy Camp Cook Out restaurant and share the outdoor seating area and menu. One of the three signs I found for the new Carousel Park area of Carowinds. I love that the signs all have three-dimensionality and have been built out. 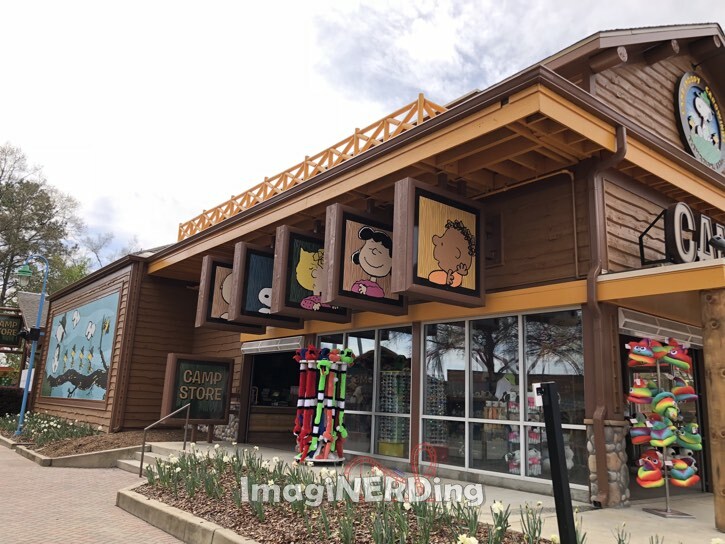 The Camp Snoopy Camp Store is the fourth shop / restaurant to occupy this space! Check out the video to see what the building originally was. 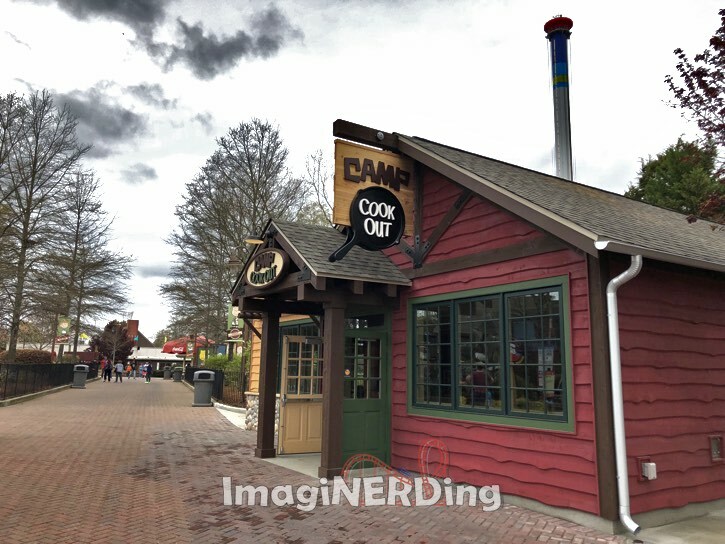 Camp Cook out is a new counter-service eatery for Carowinds 2018. Seating is outside and the menu is very limited. 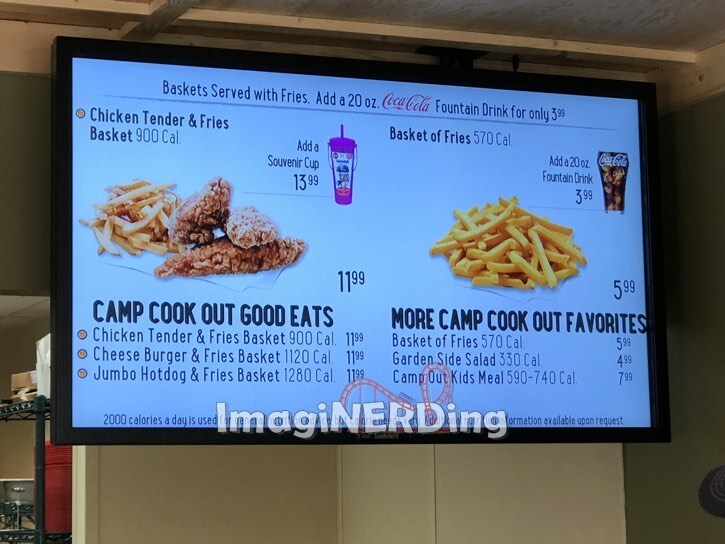 Here’s the menu and prices for the Camp Snoopy Camp Cook Out counter-service restaurant at Carowinds for 2018. Check out my video on the rides and attractions of Camp Snoopy, here. Camp Snoopy is a fantastic re-theming of the Planet Snoopy area and kids are going to love the rides and the playground. But, there will be long waits during the hot summer months. Get there early and try to tackle as much as you can before the crowds arrive. 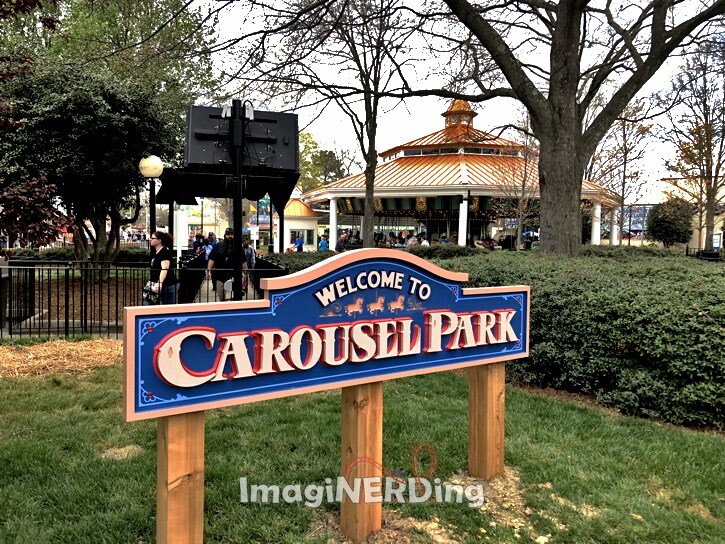 Are you excited about the Carowinds 2018 changes and additions?